Cleveland Browns To Keep Training Camp In Berea For "The Immediate Future"
CLEVELAND, Ohio- The Cleveland Browns announced on Wednesday that they will be keeping their training camp in Berea for “the immediate future”. There had been talks of moving it to Columbus in the year 2018, but those plans have since been put to rest. Tom Withers of the Associated Press was one of the first to report the news. #Browns had considered moving portion of training camp to Columbus starting in 2018, but they'll be staying in Berea. There was a request by the Browns back in February for Ohioans to help pay the five-million dollar cost in order to put a practice facility close to Ohio State University. Those plans seem to be nixed as of Wednesday. Browns VP of Communication Peter John-Baptiste talked to reporters about the decision Wednesday. 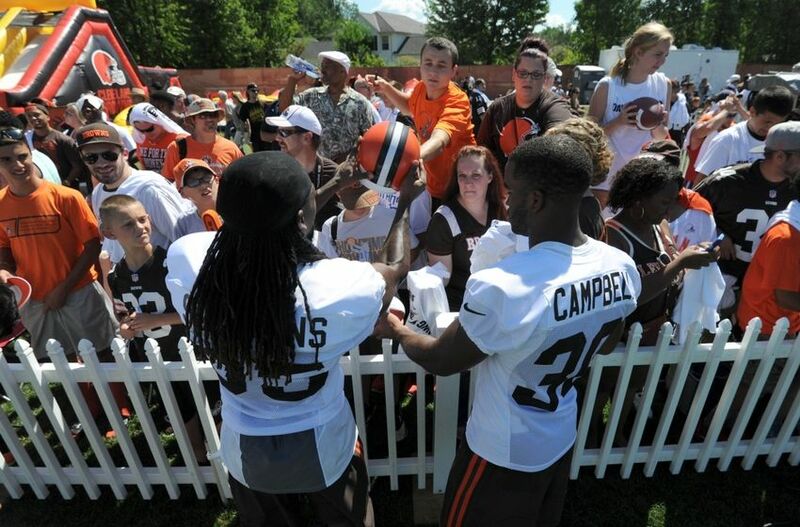 So for now, Berea will remain home of the Cleveland Browns training camp. Just like it has been since 1992.